When it comes to nutrition and pregnancy, most pregnant women are well aware of the foods they should avoid and the reasons why. Alcohol, unpasteurized cheeses, raw eggs, undercooked meat to name a few. However, shifting the focus to foods pregnant women should be increasing in their diet is equally (or perhaps even more) important. 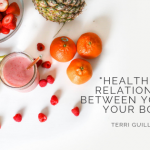 This is what I focus on in my practice – educating women on what nutrients they need to nourish their own bodies and that of their growing baby throughout their pregnancy and breastfeeding journey. Understanding why certain foods are so beneficial is the starting point, then we move on to how to actually incorporate them into their diet in a way that suits their individual dietary preferences and their lifestyle. Growing a baby is no small task. It is extremely demanding on the body, and requires additional nutrients to ensure the baby gets what it needs to thrive without leaving the mother depleted. Below is a list of a few key nutrients a pregnant woman should increase in her diet, along with some simple ways to incorporate the nutrients into her diet and lifestyle. 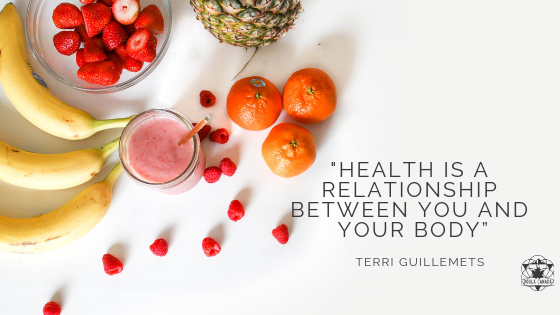 From a holistic perspective, the quality of the foods you eat is SO important. Craving a burger? Imagine the difference in nutrition between a fast food burger or one you made yourself from some grass fed beef. For all the foods listed below, buying the best quality you can is a great place to start. Known as the “body’s building blocks”, protein is essential for growing a baby. On top of replenishing her own protein needs, it is imperative a woman increase her protein intake during pregnancy. Besides being used for growth and repair of body tissue, protein is used to make enzymes, neurotransmitters and hormones. Additional protein doesn’t have to mean more meat. You can easily add more protein by eating quinoa, brown rice, eggs (fully cooked), lentils, or beans. Consider taking hummus and veggies to work for an afternoon snack, or swapping out your potatoes at dinner for some quinoa or brown rice. You can even make a batch of rice or beans on the weekend so that you can easily grab them when you have a meal lacking in protein. Eating additional fat can be a scary thing for some women; for years we have been led believe that fat makes you fat. However, understanding that fat is absolutely essential for the growth of your baby helps to put it in perspective. A baby’s brain, nervous system and heart are made up of a lot of fat. Every cell in our body has a fatty cellular membrane and fat is required for the absorption of vitamins A, D, E, and K.
It’s the type and quality of fat you eat that is important for whether or not it is helping your baby grow and thrive. Healthy fats found in foods such as nuts, seeds, avocado, coconut, fresh water fish and eggs are excellent for nourishing your baby. Having some hard boiled eggs in your fridge can make for a quick snack, or having some nut or seed butter (almond, cashew, sunflower etc.) with a piece of fruit is a great way to incorporate some healthy fats. Slicing up some avocado on some toast or mashing it up to make guacamole is also an easy way to obtain a good dose of healthy fat. You can also whip up a mix of seeds in your coffee grinder and sprinkle them on just about anything! Check out the recipe on my blog post about my favourite pregnancy recommendation. Fiber doesn’t necessarily contribute any specific nutrients to our diet but it helps our digestive system work efficiently. Fiber helps to slow down nutrient absorption, which helps to balance blood sugar, and it also helps to prevent constipation and putrefaction of foods. Considering constipation is a common problem amongst pregnant women, adding some good quality fiber to your diet can be extremely beneficial. Most people think of bran when they think of fiber; however, all vegetables, grains, nuts, beans, and lentils contain fiber. Ground flaxseeds are an excellent source of fiber. You can add them to your diet by putting a few tablespoons in a smoothie, thick soups, chili or in pancake/waffle or muffin mixture. A few things to note about increasing fiber: be sure to increase the amount slowly into your diet so your digestive system can get used to it; adding too much too quickly can cause digestive discomfort. You also want to make sure you are well hydrated and drink plenty of water everyday. This mineral is most commonly associated with dairy products, but there are so many other (often more healthy) foods you can eat to get calcium into your diet. Broccoli, bok choy, almonds, tofu, prunes, and pumpkin seeds are just a few! Dark leafy greens (spinach, kale, Swiss chard, beet greens etc.) also have some calcium. If you do choose to eat dairy products, try to choose organic and/or grass fed options. Calcium is so important for the growth and development of your baby’s teeth, bones and cardiovascular system. It is also essential for the mother’s teeth, skin, bones and for helping to relieve aching muscles (an all too common issue during pregnancy). If a mother’s diet is lacking in calcium during her pregnancy, the baby will actually take calcium from the mother’s bones, leaving the mother depleted. This can have long-term detrimental effects. Getting the nutrients you and your baby need shouldn’t (and isn’t!) complicated. The suggestions above are some good places to start, but you can also just begin with choosing a variety of whole foods (things without labels or ingredient lists) and focus on the quality of the foods you are choosing. Every time you reach for a snack or a meal, you have the opportunity to make a healthy choice for you and your baby. Erin is a Registered Holistic Nutritional Consultant (R.H.N.) based in Halifax, Nova Scotia. She works with women all across Canada to help them optimize their nutrition throughout their pregnancy and breastfeeding journey. 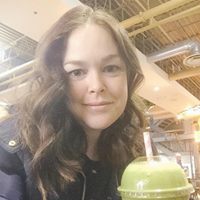 As a mom to a very active 2.5 year old, and currently expecting her second baby in June 2019, Erin has a unique understanding of the needs of pregnant and breastfeeding women. Her focus is primarily on education and providing her clients with realistic suggestions that fit their lifestyle and dietary preferences. When she isn’t working with clients, Erin enjoys baking and spending time outside with her family.